The Australian Federal Government announced a $1.5bn Budget surplus for the 2012-2013 fiscal year, after estimated $44.4bn deficit for 2011-2012. The proposed changes would “allow businesses to ‘carry back’ their losses, to offset past profits and get a refund of tax previously paid on that profit”. The carry-back will be available to companies and entities that are taxed like companies. As part of the loss carry-back, from 1 July 2012, companies will be able to carry back up to $1m worth of losses to get a refund of tax paid in the previous year. From 1 July 2013, companies will be able to carry back up to $1 m worth of losses against tax paid up to 2 years earlier. From 1 July 2012, the tax rate on concessional contributions will effectively double from 15% to 30% for individuals with income greater than $300,000. The proposed higher concessional contributions cap for individuals aged 50 and over with superannuation balances below $500,000 will be deferred to 1 July 2014. Accordingly, all taxpayers, regardless of age, will be subject to a concessional contributions cap of $25,000 for the 2012-13 and 2013-14 income years. Given the very large number of excess contribution tax cases that the Australian Taxation Office has pursued, these contribution limits must be carefully monitored. The Government will limit the availability of the employment termination payment (ETP) tax offset. At present, the ETP tax offset ensures that ETPs are taxed at a maximum rate of 15% for those over preservation age and 30% for those under preservation age, up to an indexed cap ($165,000 in 2011-12 and $175,000 in 2012-13). From 1 July 2012, only that part of an affected ETP, such as a “golden handshake”, that takes a person’s total annual taxable income (including the ETP) to no more than $180,000 will receive the ETP tax offset. Amounts above this whole of income cap will be taxed at marginal rates. Existing arrangements will be retained for certain ETPs relating to genuine redundancy (including to those aged 65 and over), invalidity, compensation due to an employment related dispute and death. The existing LAFHA rules operate so that foreign nationals working in Australia may be able to receive significant amounts (referable to living expenses) tax free, on the basis that they have a home somewhere other than Australia. The new rules will require that the residence a person is living away from must be in Australia and will provide that the living away from home concession will only be available for 12 months. The Government has announced a carve out from the 12 month requirement for fly in fly out arrangements. 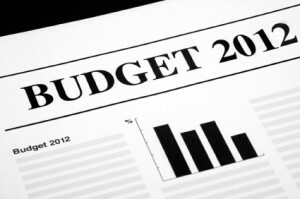 The medical expenses tax offset will be means tested from 1 July 2012. The Government announced that, for people with adjusted taxable income above the Medicare levy surcharge thresholds ($84,000 for singles and $168,000 for couples or families in 2012-13), the threshold above which a taxpayer may claim the medical expenses offset will be increased to $5,000 (indexed annually thereafter). In addition, the rate of reimbursement will be reduced to 10% for eligible out-of-pocket expenses incurred. People with income below the surcharge thresholds will be unaffected. The Government has announced that the managed investment trust (MIT) final withholding tax rate will increase from 7.5% to 15% from 1 July 2012. The Government will remove the 50% CGT discount for non-residents on capital gains accrued after 7:30pm (AEST) on 8 May 2012. The CGT discount will remain available for capital gains that accrued prior to this time where non-residents choose to obtain a market valuation of assets as at 8 May 2012. More information on the tax and related announcements is also contained in a number of Budget press releases – see the Treasurer’s website and the Assistant Treasurer’s website. Contact our accounting, taxation and auditing team today if you believe the new budget will have an impact on your business taxation.